Pioneers in the industry, we offer fruit flavoured lollipop, milky lollipop and fruity pops lollipop from India. 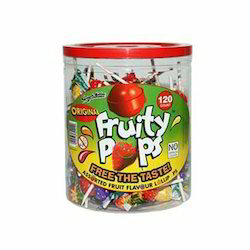 We offer delicious and individually wrapped Fruit Flavoured Lollipop in different taste. These are the best fruity taste in wide varieties of orange, pineapple, mango, strawberry and several other delicious flavors. We assure best collection of safe, hygienic, yummy and multicolored packs which is widely supplied to various stores at the nominal market price range. Our clients are provided with various yummy lollipops including Milky Lollipop. These are made of pure milk and are rich in taste and nutrients. Our best collections are highly appreciated in the market and are sourced from certified brands. These are well wrapped, safely supplied in huge varieties throughout the nation at the nominal market price range. We provide the most delicious Fruity Pops Lollipop in soft multi- taste. These are made of milk and fruit and are high in demand. We offer the most favorite collection of children in wide varieties of taste and flavors. These are separately wrapped and offered to various dealers and vendors all across the nation. 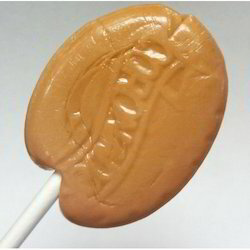 We offer our tasty lollipops at economical price range.